I found these on Creative Mamma – cute huh? 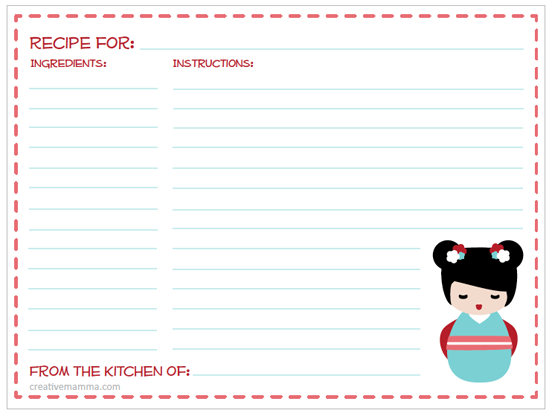 Print them out on card and use them for favourite recipes. 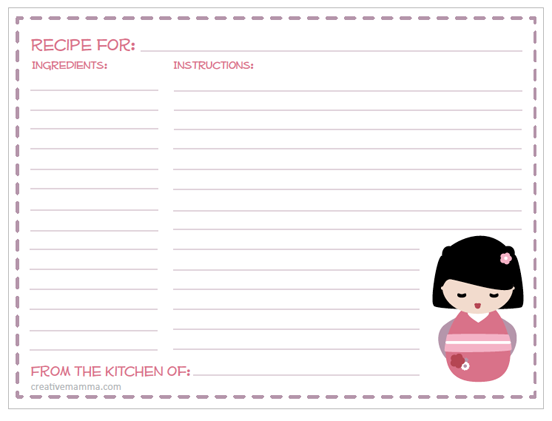 And if you’re looking for a lovely recipe card holder – check the one on this page from Love Letters Stationery – available for order online.